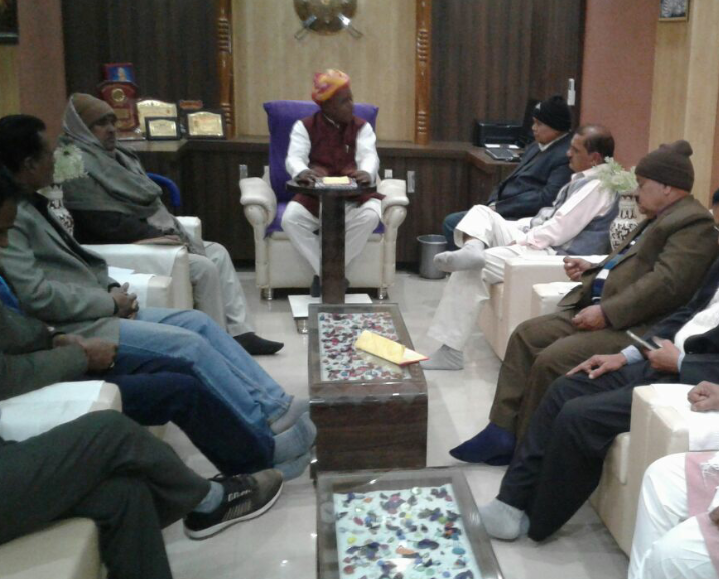 Guna: President of Akhil Bharatiya Kshatriya Mahasabha Dharmavir Singh Kushwah today held a meeting to constitute the SAPAKS Samaj body that will work for the benefit of the common people, falling under the unreserved category; the socially backward and economically deprived sections; and minorities. The President of Akhil Bharatiya Kshatriya Mahasabha, speaking at the State convention of SAPAKS held in the State capital on 17 December, had pledged full support to SAPAKS Samaj Society in its crusade against the Madhya Pradesh Government’s blatant decision to continue with the provision for Reservation in Promotion across all State departments. By sticking to this stand, the government perpetuating injustice on majority of government officers and employees. All eyes are now fixed on 24 January when the Supreme Court of India will take up for hearing this case which is now before the apex court as the State government has challenged the Jabalpur High Court order declaring as null and void the Madhya Pradesh rule for Reservation in Promotion. The State government is working against the interest of those from the unreserved category by paying hefty fees through money drawn from the exchequer to senior Supreme Court lawyers to fight the case in support of the employees and officers belonging to the SC/ST categories who have been promoted even though they have lacked merit and seniority. This has led to immense frustration among a large section of employees and there has been a total decline in administrative efficiency in Madhya Pradesh. The SAPAKS Samaj Society was formed earlier by few leading members of society. The society is in favour of rationalising the Reservation regime. SAPAKS also wants that the misuse of the SC/ST Atrocities Act should end. Agree with this completely. Reservation in promotions must end immediately. We are giving reservation in procuring a job.. isn’t that sufficient? After that the promotion must be on general conduct, fitness and merit only. Many deserving candidates are left behind because of this and ultimately causing bad governance for the general public. The arrogance of such undeserving people who are promoted through reservation further dampens the spirit. It must be discontinued but the government just thinks about the vote banks..